Improperly designed and installed lagging systems can lead to plate corrosion and gas or air leaks on flues, ducts, and equipment. It is estimated that plate corrosion and flue/air leaks cost the power industry millions of dollars in repairs annually. 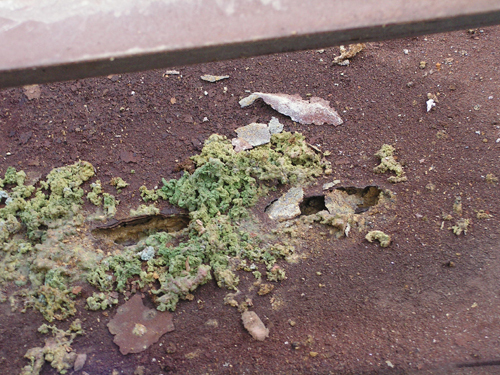 Plate corrosion will always lead to gas or air leaks, and the root cause is most often a failed lagging system. Plate corrosion issues are usually addressed only after the gas or air leaks force the power company to address them, but these leaks can easily be prevented by inspecting the installed lagging. Lagging is the easiest component at a steam-generating facility to inspect, even from a distance. Unfortunately, many power plants fail to recognize the early signs of improperly designed or installed lagging. It is recommended to inspect the lagging both while the boiler is running and during a boiler shutdown. Inspecting lagging in both the cold and hot positions will give a good indication of whether it was installed correctly. It does not present a true plane to the naked eye (aesthetically pleasing). It does not cover or protect the insulation from the elements at all times. It is not stiffened or fastened on adequate centers to prevent excessive deflection or “oil canning” in either the hot or cold position. Preventing plate corrosion and poor workmanship issues requires a high expectation of quality, experienced crafts personnel who have previously worked at power plants, and the right tools. As an example, closing an access opening into a boiler wind box will require the following work (notice the tools typically used). Lagging requires finishing tools to complete the work. These finishing tools (tin snips, hand seamers, and grinders) are necessary for the lagging to be deemed properly installed, and they require the most work experience. Lagging, when properly installed, will always prevent plate corrosion. 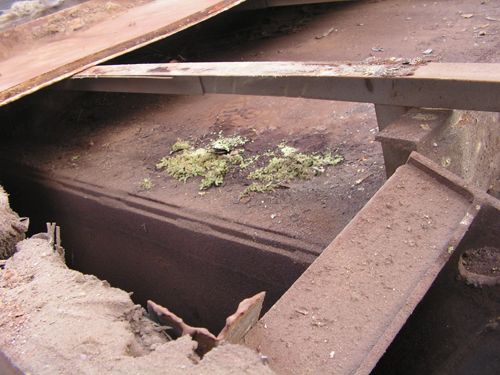 However, plate corrosion is not the only corrosion issue affecting power plants and lagging. The power industry also must be aware of galvanic and oxide corrosion. Galvanic corrosion occurs when different types of metals make contact with each other. It has the potential to create a hole in the lagging and allow water to penetrate to the plate or casing. This type of corrosion can be prevented by painting the surface of the dissimilar metal materials (e.g., carbon steel angle iron in contact with aluminum lagging) with heat-resistant aluminum paint or by gluing thin felt-type insulation over the face of the dissimilar metals before the aluminum lagging is installed (making sure the felt has the correct temperature rating). All lagging (rib or flat) material must be stored inside or placed in an area that is not accessible to the weather or plant water. All lagging (rib or flat) must be stored above the ground or floor to allow air circulation around it. Individual lagging pieces should be placed on end or edge, never stored flat. Any lagging stored in its original shipping boxes should not be tightly sealed or covered with plastic to prevent the lagging from sweating. 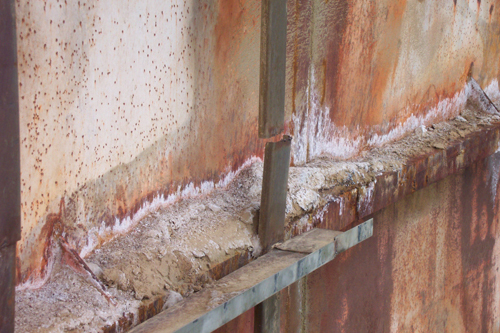 Galvanic and oxide corrosion should never happen and are easily avoided. Plate corrosion, on the other hand, is harder to avoid. It begins with better training and improved awareness about the importance of lagging. It also requires a higher expectation of lagging workmanship from the crafts and the plant personnel, employing experienced crafts personnel who have worked at power plants, and using the right tools of the trade. Lagging may be the last thing installed at a power plant, but it should be the first thing considered before beginning to insulate boilers or storing materials. Close-up view of holes in a flue plate caused by corrosion. Improperly installed lagging allowed water to get to the flue plate. Notice the improperly installed lagging attachment system, which has the lagging installed directly to the angle iron (dissimilar metals). Flue plate without insulation showing corrosion.